This next product I had to get my hands on for several reasons. First off you guys know what an environmentally conscious family the Poole household is. Second, you all know we are quite the entertainers as we throw parties all year long for various holidays. We are always looking to add to our bar tools selection and when I first saw this I knew it would be something I could use my garden products in addition to it! I was recently to review an all around awesome tool which I wouldn't have thought of needing in the past. 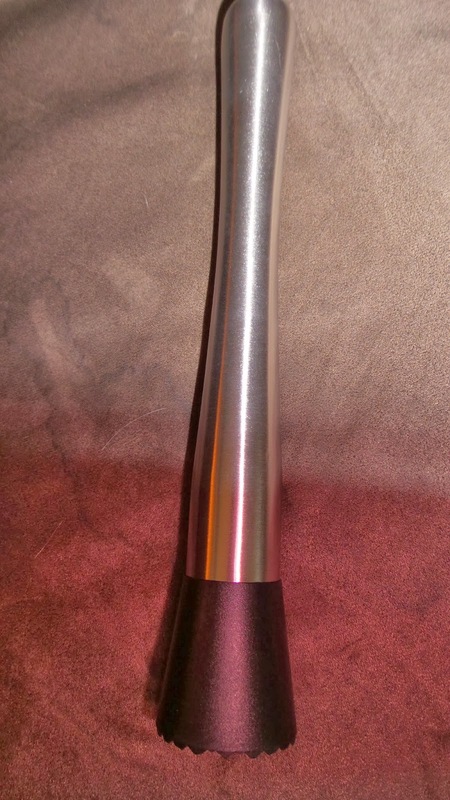 SKG Group sent me over one of their Stainless Steel and Gridded Nylon Cocktail Muddlers. 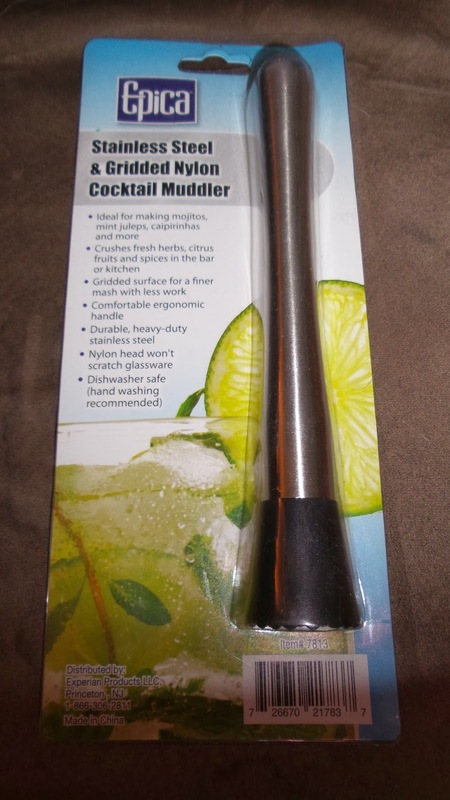 I have to say when I used to hear the term muddler, I always thought of Mojito's right away. In reality that is just one small thing they can be used for! 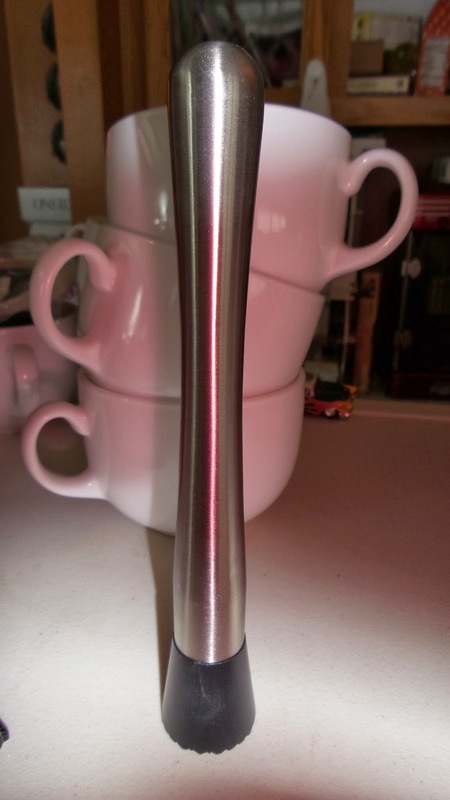 The first thing I noticed when this arrived is the nice sleek style of the Ergonomic Stainless Steel Handle. This was something that doesn't deserve to be thrown in a drawer with the rest of your kitchen/bar tools but proudly displayed on the counter top! It's handle is very comfortable to hold and requires little strength to pulverize since it's weighted. I love that the Epica Muddler has several rows of "teeth" which make for an easy release of the ingredients "juices and flavor essences". Because the head is made of nylon, you don't need to worry about you bowls or glassware scratching like most metal muddlers OR slivers and splits from a wooden muddler. It's even dishwasher safe! Now I can easily make drinks (or foods) with the freshest ingredients from my garden. I can be sure I know what I am putting in is safe AND that it has the optimum flavor best utilizing any of my edibles! I can't wait to show this off this Summer at our next party! Recommendation: Definitely worth the purchase, especially when you look at the quality and endless possibilities. This can be washed and reused just as easily as anything out there. I love this style and how easy it is to use!